Search the ODS database based on several parameters and return a summary of multiple organisations. The parameters can be used independently or as part of a search combination to help with reducing the number of search results returned. 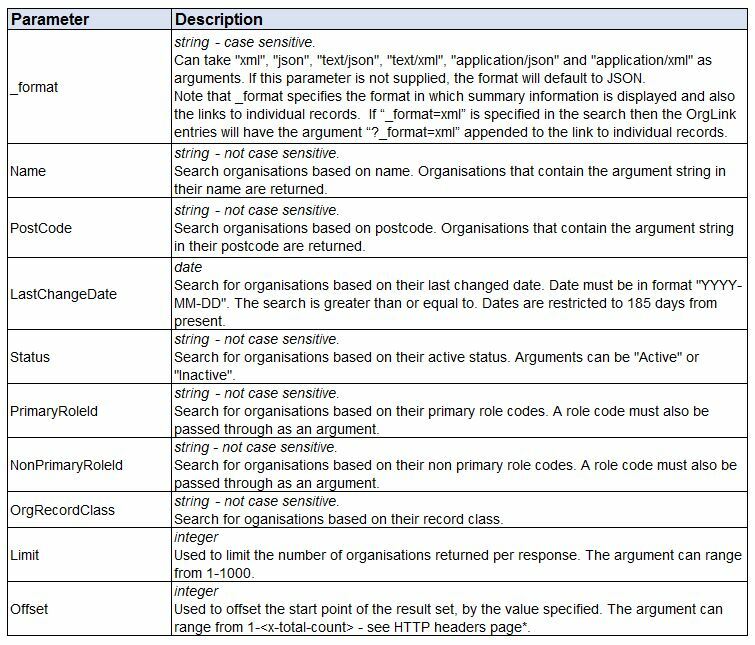 The below outlines the search parameter syntax used with some basic examples provided. The following query returns summary information for one or more organisations where the Name attribute passed in is a substring of the organisation’s name (in this example the organisation name contains ‘Blackdown’. For examples of all of the above search parameters please view the ‘Parameters‘ page.